Are you searching for a midsize sedan that can save you money on fuel and tackle all of your daily needs? If so, be sure to head over to Team One Toyota in Rainbow City, AL. At our dealership, we are delighted to carry the 2016 Toyota Camry in stock. Team One Toyota has served Serving Gadsden, Anniston, Albertville, Oxford, and Jacksonville, AL for a number of years with an excellent array of Toyotas in stock. Come by Team One Toyota at and discover the new Camry today. The midsize sedan segment is one of the most popular on the market, so let's see how the 2016 Toyota Camry does against the Honda Accord. To save you money on fuel, the Camry and Accord both have fuel-efficient powertrains. The Camry is equipped with a 2.5-L inline-four that is paired to a 6-speed Electronically Controlled automatic transmission for the ability to return 25/35 mpg (city/hwy). 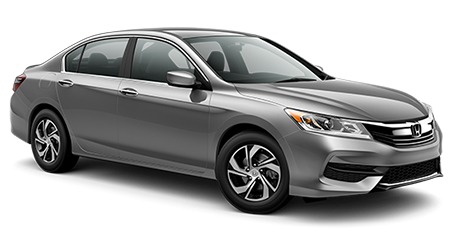 In comparison, the Accord has a 2.4-L inline-four that can get up to 23/34 mpg (city/hwy). As midsize sedans, both the Camry and Accord are packed with a lengthy list of interior features. With the Accord's interior features, you can enjoy driving the midsize sedan on a regular basis. The Camry comes with: cruise control, steering wheel mounted controls, rearview camera, exterior temperature gauge, front bucket seats, remote keyless entry, 6-speaker audio system and more. 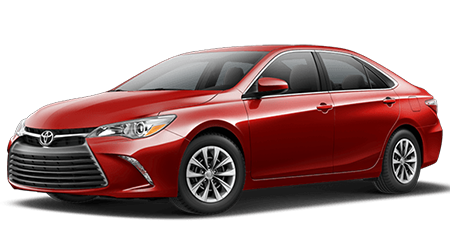 To provide you the confidence to enjoy driving the Camry on a routine basis, the midsize sedan is backed with an extensive warranty. The Camry comes with a 3-yr./36,000-mile basic warranty, 5-yr./60,000-mile powertrain warranty, and 5-yr./unlimited mile corrosion warranty. If you have been looking for a midsize sedan that has all of the latest features and can be enjoyed everyday, then check out the 2016 Toyota Camry. With the Camry's more fuel-efficient powertrain, interior features and lengthy warranty, it has the edge over the Honda Accord. Visit Team One Toyota and test drive the Camry today.